Looking for intensive paragliding training? Preparing yourself for a pilot licence, rehearsing or interested in face-to-face training with a XC instructor? Our clients have already asked for personal approach with our particular instructor. We are busy professionals and therefore we were not able to satisfy all demands. However, we decided to add the possibility of personal training to our offer so at last we react and accept this challenge. If your workload does not allow you join our courses or just prefer training with your personal instructor, write us your idea how to do it and we will design you an individual plan of training. We are able to provide tuition in Czech, English, German and Russian. 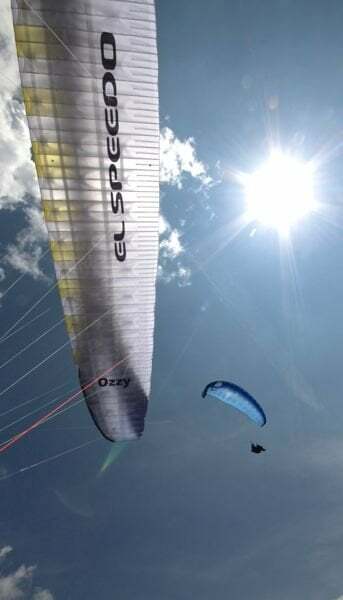 Thanks to El Speedo online tuition and our rich experience from various types of paragliding competitions, we are able to fulfill any of your notion of a good quality training. The price of this service depends on scale of the training scheme, destination, transportation and accommodation costs. That is the reason why price proposal is inextricable part of proposed training plan.